$10 advance tick­ets are avail­able Fri­day, Jan 18 at The Good Will and Show​pass​.com. 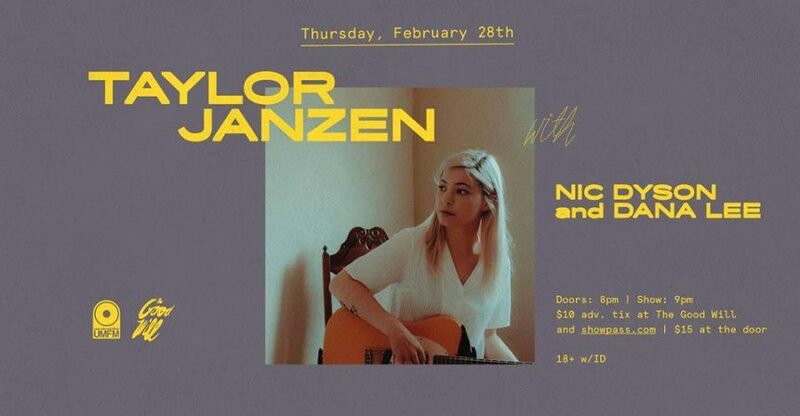 With deeply per­son­al lyrics soft­ly lay­ered over a min­i­mal­is­tic and slow-build­ing gui­tar riff, 19 year old Win­nipeg artist, Tay­lor Janzen’s ​“Sta­tions” is an hon­est and raw effort that aims to break the silence about abuse. It’s a stun­ning first taste of her forth­com­ing EP, ​“Inter­per­son­al”, due August 10, 2018.